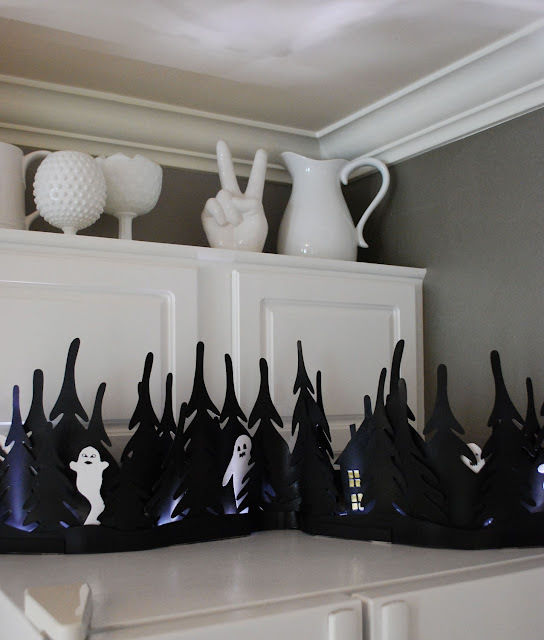 This fun haunted Halloween display started off as a strand of Ikea Christmas lights that were transformed into this fun haunted woods Halloween decoration. Even if you don't have the set of Christmas lights, it would be easy to create something similar with some cardboard or chipboard and a few lights or battery operated votives. You can check out the Strala Haunted Woods over at Ikea Hacker.